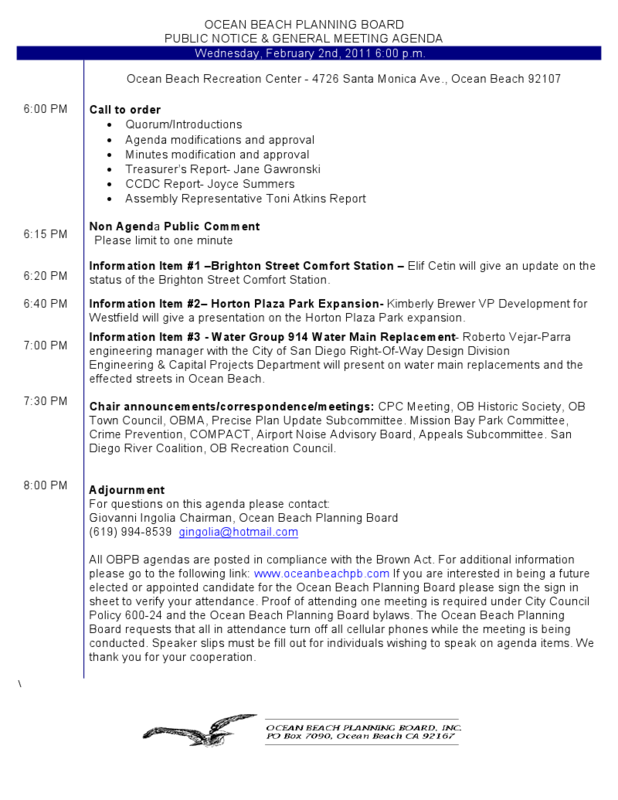 Here is the agenda for the Ocean Beach Planning Board’s monthly meeting on Wednesday, February 2nd, 2011. 20 minutes (read: 1 hour) on a Horton Plaza park expansion plan? Sounds interesting, but perhaps out of place…of more immediate concern and interest are a couple why-the-f-is-this-taking-so-long issues in the Brighton bathroom and the water main replacement/degrading of Cable street to the transit equivalent of a dry river bed.